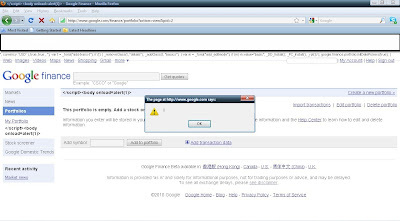 Google WebsiteOptimizer Google's free website testing and optimization tool, missed a very important check when people create their experiments. additionally they made it more easier to exploit. The first step was creating a new experiment I preferred A/B Experiment, then I had an option to add URLs to verify my website is real, as first I inserted some string "BenHayak" for example and pressed continue. After that screen I had an option to throw the dirty job over to my "Webmaster" - "Your Webmaster will install and do the dirty work for you ;)". Great they give me a link to Google domain validation page with links to BenHayak when I clicked it I noticed it opens a page with only "BenHayak" in the address bar. 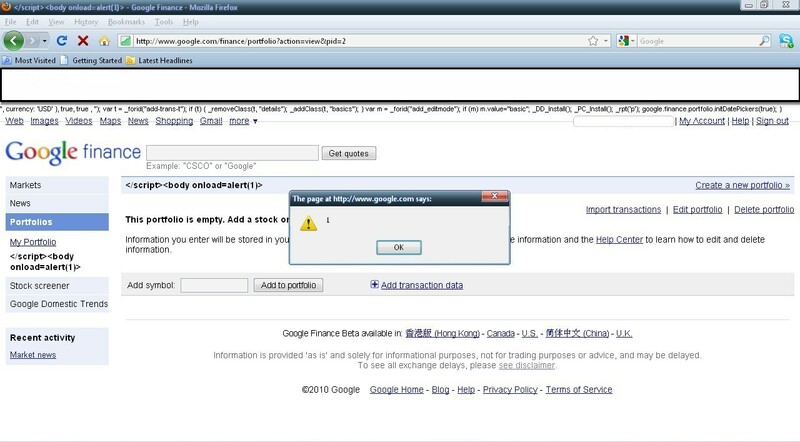 new vulnerabilities I found in Google products. I will publish it soon, after Google will fix the issues. Google Bookmarks lets you create an online bookmark lists. I found this one in the "New Section" function. In order for this XSS to trigger though, the victim had to edit your section. The first step was creating a new bookmark list. 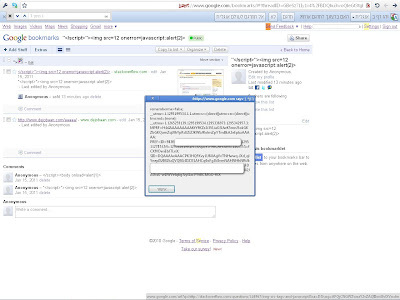 After I got that done, I created a New section with Image tag poisioned with XSS payload. The final step was inviting the victim by giving him/her access to my bookmarks list. 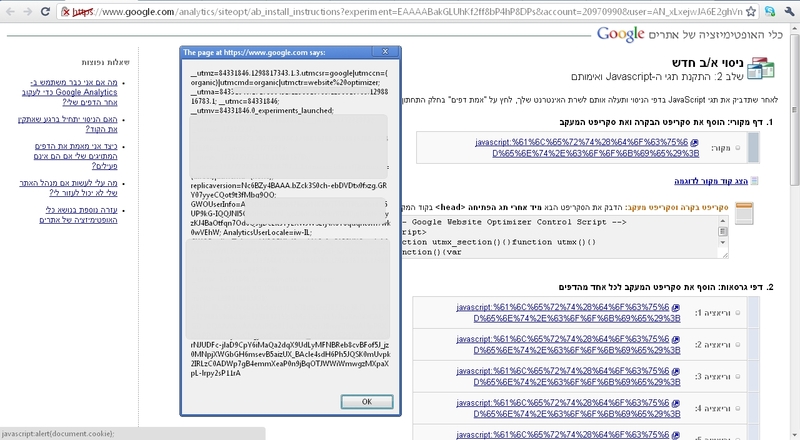 This issue has been fixed by Google security team. 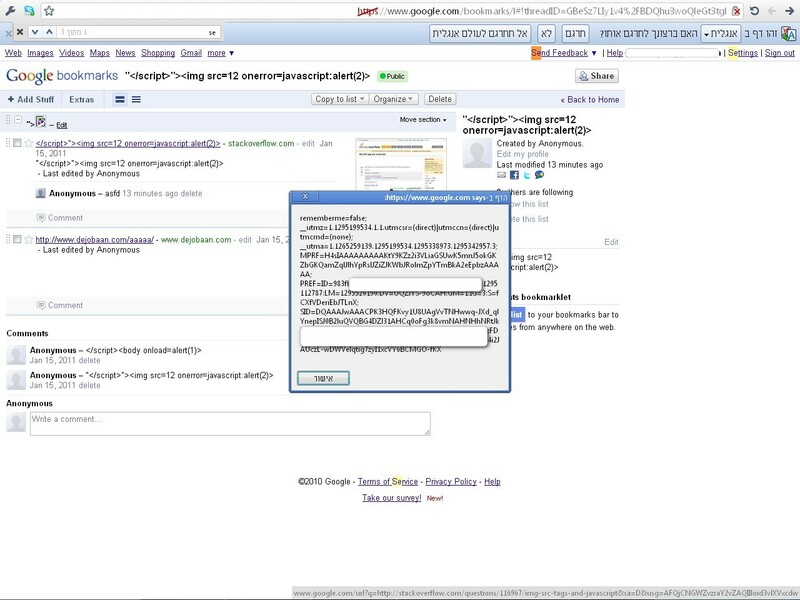 Trigger XSS using portfolio name.